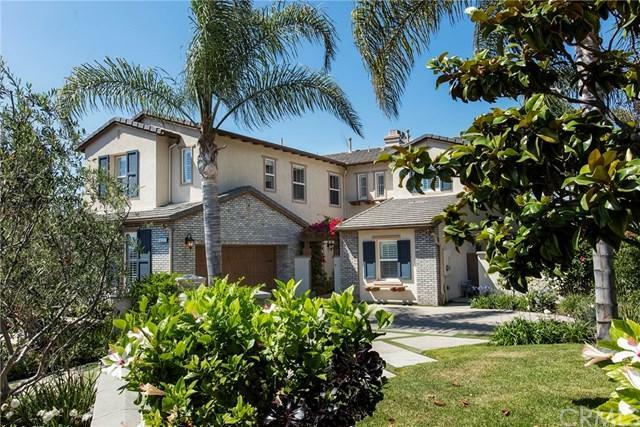 4157 Costero Risco, San Clemente, CA 92673 (#300805214) :: Ascent Real Estate, Inc.
Move up to the luxurious lifestyle you have aspired to in this extensively upgraded home at Cantomar at Forster Ranch in San Clemente. Impressive interior dimensions of approx. 4,237 s.f. are evident upon entering the residence, which features a 2-story foyer with elegant wrought-iron staircase. A fireplace warms the formal living room, the dining room hosts built-in wine storage and backyard access, and a downstairs bedroom serves as a library. 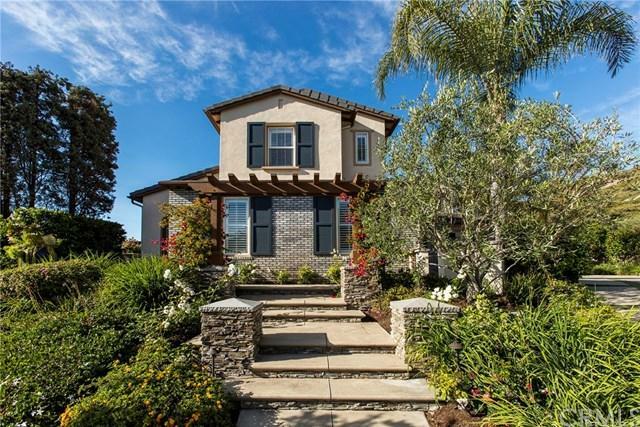 French doors, crown molding, custom chandeliers, intricate t Move up to the luxurious lifestyle you have aspired to in this extensively upgraded home at Cantomar at Forster Ranch in San Clemente. Impressive interior dimensions of approx. 4,237 s.f. are evident upon entering the residence, which features a 2-story foyer with elegant wrought-iron staircase. A fireplace warms the formal living room, the dining room hosts built-in wine storage and backyard access, and a downstairs bedroom serves as a library. French doors, crown molding, custom chandeliers, intricate tile work, polished travertine and rich wood flooring lend an air of elegance throughout the 5-bedroom, 4.5 bath floorplan, which also displays a bonus room, and ensuite or Jack-n-Jill bedroom designs. United in one grand space, the great room and kitchen area is embellished with a fireplace, built-in entertainment center, surround sound, island with seating, granite countertops, under-cabinet windows, a walk-in pantry, upgraded stainless-steel appliances, a breakfast room with desk and a French door to a patio. Sunset, hill and Saddleback Mountain views are enjoyed from a massive master suite with sitting room, fireplace, built-in cabinetry, and a travertine-finished bath with jetted tub and a spacious walk-in closet. Surrounded by natural hillsides with only one neighboring home, an extra-private homesite of nearly 9,710 s.f. offers a saltwater pool and spa with Pebble Tec finish, a fireplace, wet bar, putting green, courtyard and a secluded dining area on the side yard.